"It isn't the worst film of the year, but does draw out a feeling of... Meh!" Hieroglyphics have been around since the beginning of man’s existence on Earth. Images that help to facilitate a message between humanity and they have become a means of archaeologists to understand more about our past. The introduction of emoji’s into our modern society should not be a surprise to mankind, these visual representatives of our digital fingerprints are merely part of being human. They manage to say so much in one click of the keyboard. Within this animated world of the internet, it was only a matter of time before Hollywood would consider a film that utilizes this visual world at our fingertips. In the world of Textopolis, the goal for all emoji-kind is to be one of the favorite choice of Alex (Jake T. Austin), the teenager who owns the phone where they reside. Gene (T. J. Miller) comes from a long line of ‘Meh’ emojis and is looking forward to taking his place in the valuable space on the emoji board. The problem for the young ‘meh’ face is that he has been born with a rare malfunction called multi-expressionism, a condition where he can represent multiple moods. This ‘birth defect’ causes him trouble when he is selected by Alex to message the young lady that he wants to get to know. Gene’s mistake leads to a series of events that cast a dark cloud over his family and result in his eventual banishment. In an attempt to redeem himself, he partners with Hi-five (James Corden) and a codebreaker named Jailbreak (Anna Faris) to find the answers in ‘The Cloud.’ During their digital journey to redemption, the trio builds a friendship and discover more about themselves than was planned. 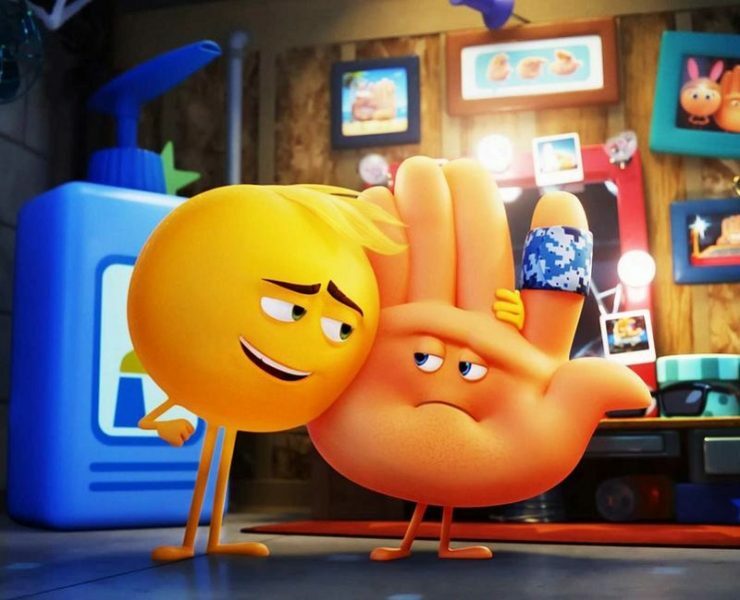 The Emoji Movie has established a dubious distinction within cinemas as the worst reviewed film in 2017, which makes it an attractive consideration, is it that bad? The answer can be found in the form of a question, why all the hate? It is far from being a quality film, but in the grand scheme of the cinematic universe, it is far from being the worst movie of the year. The concept is original and timely but would have been better in the hands of the crew at Pixar. The team at Sony Animation attempt to tap into the magic of their friends over at Disney by retelling the story of Inside Out within a cell phone instead of the mind of a teenager. The characters are a pale comparison to the concept that they are attempting to reflect and the writing is not as refreshing as what is on offer in other films within this genre, but they do try to provide something for families. Even with the inclusion of the ‘poop’ emoji (Patrick Stewart) the humor is still relatively child-friendly, provides a few laughs and is a safe option for parents. What should parents know about The Emoji Movie? Judging by the response of the viewing audience at our screening, the animation and story were meant for the younger set, but the humor connected with the parents. This is a film that is relatively tame and contains a bit of toilet humor but is not too offensive for children. The issue for parents will be that most of the children will get bored with the concepts of the film that will fly over the heads of little ones.